Attention Music Educators and Students! Building you’re students’ a cappella experience in harmony! Through the generous donations by individuals, Barbershop Chapters, quartets and grants, The Super Sing Workshop offers the student a day of harmony, fellowship and fun. Young male and female singers of high school age along with their school music educators should attend the Workshop to learn more about this exciting opportunity. Each participant receives free music and learning tracks for three songs (available for download following registration), lunch, commemorative tee-shirt and a most memorable experience. In each venue, the day begins in the morning with quartets working with professional clinicians and prominent teach quartets for both boys and girls. After lunch there is more rehearsal time leading up to a “FREE” concert for family and friends at the close of the afternoon. We like to think of Super Sing Workshop is a “feeder” program to the WSMA Barbershop and Treble Barbershop categories for Solo/Ensemble Festivals in the spring. Singers who attend one of the state-wide Super Sing Workshops might form a quartet for the Regional Solo/Ensemble in the Spring. Achieving “1” or “2” level score at one of the Festivals earns them an invitation to the “Wisconsin Youth Harmony Festival” (WYHF). This whole process of a cappella singing starts with the chapter sponsored “Super Sing”! 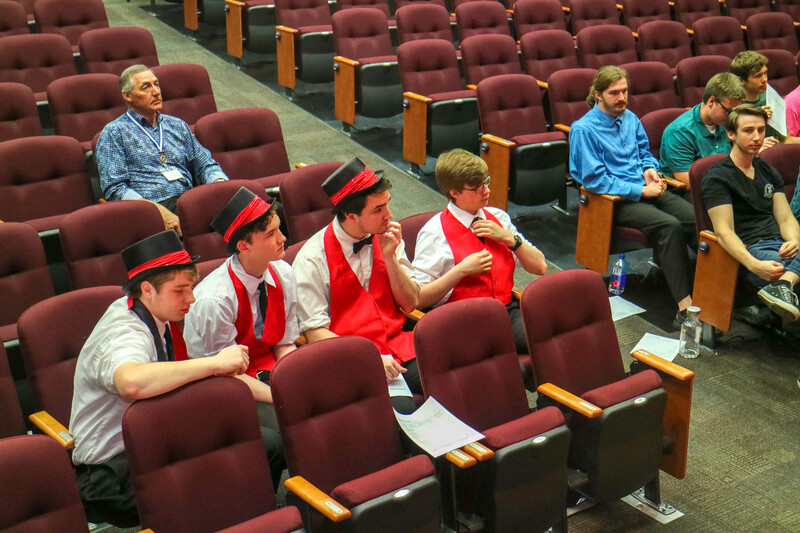 With the support of the local barbershop chorus, we provide the music, the coaches, the clinics and Festivals to put your kids on stage to learn, have fun, compete and build confidence. use the Super Sing pull down menu on the home page and click on the location.